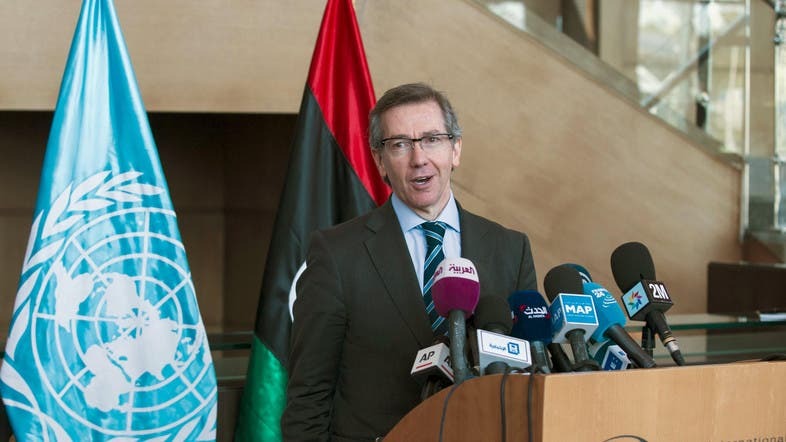 The first names for a new Libyan unity government could emerge this week after progress in U.N.-mediated talks between its warring parties, U.N. special envoy Bernardino Leon said Monday. Leon was in Brussels for a conference of Libyan mayors after visiting Morocco, where he has been working with representatives of Libya's rival parliaments to reach a deal to end months of fighting. “There is a chance that we can make progress and have the first names for a unity government this week,” Leon told reporters. Leon had said on Sunday that the first documents to pave the way for a unity government could be ready within two days. Libya has been in turmoil since the overthrow of Muammar Qaddafi in 2011 by rebels backed by U.S., French and British air strikes. Libya has had two governments and parliaments since the capital Tripoli was seized in August 2014 by Fajr Libya, a militia alliance which includes Islamists that has installed its own government and legislature. On Friday the internationally recognised cabinet based in the eastern city of Tobruk said loyalist forces had launched an offensive to “liberate” Tripoli. The Tripoli parliament's delegation threatened to walk out of the current peace talks in the Moroccan resort of Skhirat when the fighting erupted at the end of last week. EU foreign policy chief Federica Mogherini also urged an end to the latest fighting, saying Libya's security was vital for Europe and the Mediterranean region. “Any military activity has to stop if we want a solution for Libya,” Mogherini said alongside Leon. Mogherini has pressed hard for security in Libya, highlighting the threats to European security of the Islamic State of Iraq and Syria (ISIS) group gaining a foothold in Libya, and of an even bigger exodus of illegal immigrants. “It's an international challenge. That is why our work is so important,” said Mogherini, a former foreign minister of Italy, which lies across the Mediterranean from Libya.